This post was originally published here by the School of Public Policy at the Central European University. Julia Buxton, Professor of Comparative Politics at the School of Public Policy (SPP), outlined key conclusions from her forthcoming report on the relationship between drugs and development in a stimulating faculty research presentation on Thursday, October 16. “Drugs are a development issue,” emphasized Buxton, “and this needs to be recognized by development actors.” The report, Drugs and Development: The Great Disconnect, will be published by Global Drug Policy Observatory at Swansea University as part of a portfolio of work that is being prepared ahead of the United Nations General Assembly Special Session (UNGASS) on Drugs in 2016. Buxton analyzed United Nations Office on Drugs and Crime (UNODC) alternative development (AD) projects. Since UN endorsement in 1998, these projects have become a counter to traditional law enforcement strategies of drug crop eradication and drug interdiction. She highlighted multiple UNODC failings that have resulted in a 36% increase in opium poppy cultivation in Afghanistan between 2012 and 2013, an increase that is even more shocking given the more than $7.5 billion that has been spent in counter narcotics efforts. Some of the examples of failed efforts include the use of generic AD approaches across regions and communities, a lack of pre- and post-project monitoring and evaluation, a dearth of development experts on staff, the absence of development and human security metrics (with AD projects evaluated only on the basis of short-term drug supply reduction targets), and, most crucially, the failure of AD to target the poorest of the poor and identify motivations for engagement in drug crop cultivation. Ultimately, “Alternative development is unworkable within the framework of drug criminalization, a focus on the sources of drugs, and ongoing militarized enforcement,” asserted Buxton, all of which serves to drive up the price of illicit drugs and the incentives to participate in supply. Citing “profound institutional sclerosis” in the UNODC, Buxton asked how alternative development can be successful if the end goal is drug prohibition. “The more the UNODC is involved in alternative development, the more it risks doing more harm than good,” she argued. According to Buxton, drug policy and also the drug policy reform lobby pay too much attention to raw narcotics (opium poppy and coca leaf) rather than synthetics such as MDMA and amphetamines manufactured in the Global North. This underlines the bias in the international drug control model and the risk of further problematic interventions that exacerbate rather than alleviate poverty and insecurity in drug crop cultivating regions. Ultimately it is development and not law and order factors that enable drug crop cultivation. 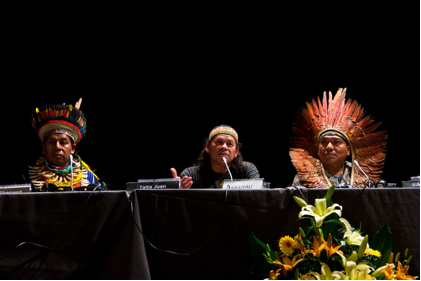 As such, Buxton concluded, drug crop cultivation should be the concern of the development community and NGOs. Unfortunately, development actors often treat drugs as a taboo subject preferring that they be handled within the portfolio of law enforcement. This works against the achievement of development objectives, with counter narcotics responses generating violence while distorting security priorities and democratic systems. Watch Buxton discuss her latest research on drugs as a development issue here. This entry was posted in international drug policy, metrics that matter on November 6, 2014 by Vicky Lewis. During the shooting of the film Raw Opium in March 2009 I was interviewed in a poor man’s steep and low yielding opium field in Kadong village of Anjaw district in eastern Arunachal Pradesh, India. The village is a good three hours uphill march from a motorable mountain road. I was overwhelmed by the unrelenting misery that I saw amongst the poor who cultivate opium mainly for their own use and barter the small surplus for essentials like utensils and kerosene oil. Faced with such abysmal poverty and the continuing brutal living conditions, I was so sad and swamped by waves of ineffective empathy that I forgot to highlight the fact that there are both rich and poor cultivators. As soon as I saw the finished film a year later I realised that I ought to have distinguished between those that farm on account of need and those that are producing poppies commercially. Within a year of filming Raw Opium in Arunachal Pradesh, some ex-narcocrats got together to form a think tank – the Institute for Narcotics Studies and Analysis (INSA) – to analyse the drug laws and consequential problems in India. I helped plan a survey that would quantify as precisely as possible opium cultivation and its use in Anjaw and Lohit districts in Arunachal Pradesh, a border state in the North East of India. The actual survey, carried out by young college students from opium cultivating families, found that a few rich farmers (less than 15%) produced the large majority of the opium. It was noted that the villages close to the road cultivated opium on a commercial scale, while those away from the road (especially in Anjaw district) did so only to provide marginal subsistence and support their addiction. The wealthier farmers have benefited the most from development programmes including financial subsidies for businesses and agriculture such as orange orchards and cardamom plantations, help with marketing their products, interest free loans, free school and college education and free electricity, as well as large-scale government investment in infrastructure projects such as dams, all weather roads, hospitals and schools, employment schemes and health care. The rich farmers, who were once poor themselves, have properties all over the region and are now able to send their children away to be educated to become engineers, bureaucrats, businessmen, doctors, professors, politicians and so on. The poor opium cultivators now hope that one day roads will reach their villages so that they can also become rich by growing opium on a commercial scale. It should be noted however, that many villages reported that they are ready to give up opium cultivation if a viable agricultural alternative is available. Approximately 95% of villages in Anjaw and 89% of villages in Lohit district had opium addicts: the total number of addicts was almost 11,000 in number in both the districts (largely males but also about a 1000 females). In both districts there were addicts as young as 15 years old. Very few addicts received treatment but a number of them – almost 1600 addicts – were interested in the possibility of treatment. Unfortunately most of the villages did not have any health care facilities nor were there any community efforts in this direction. It should be noted that whilst locally grown opium is sometimes used for medicinal and ritual purposes, it is increasingly used to support addiction. A line has to be drawn between greed and need. Those in the former category are selling opium to neighbouring states, to new and old users, and for conversion to heroin. Such cultivators deserve the full brunt of efficient eradication and jail. Those that are poor often grow the opium for their own use and therefore deserve to be given access to opium via the now defunct Opium Registry. The Government of India set up the Opium Registry in 1971 whereby registered opium users received doctor-certified dosages of opium from government stores. At the beginning of the programme there were about 300,000 people enrolled on the programme. More than forty years later, less than a handful are alive to benefit from it and new users are not added to the programme. All over India there are at least 2 million opium users. They get their doses from illicit cultivation and from diversion from licit opium cultivation. It is my belief that the Opium Registry should be revived on order to curb opium cultivation. If the opium user/cultivator is given opium by the government he or she will not need to cultivate it. Opium fields could then be eradicated without endangering any one’s health. In 1999, whilst Narcotics Commissioner, I recommended that the Government of India revive the system but the International Narcotics Control Board (INCB) objected, and the idea was dropped. In 2004 the National Drug Dependence Treatment Centre (NDDTC) of All India Institute of Medical Sciences (AIIMS), New Delhi held a workshop where this topic was discussed further, but nothing came of it. I have been monitoring the plight of the poor opium cultivators since my first visit to the region in January 1987. More than two score visits followed. Until 2003, as Narcotics Commissioner of India, I used to help eradicate illicit opium fields in these parts and elsewhere in India. In India it is still being done as tenderly as possible: no one is arrested and in the operations I participated in, a little would be left for personal use. 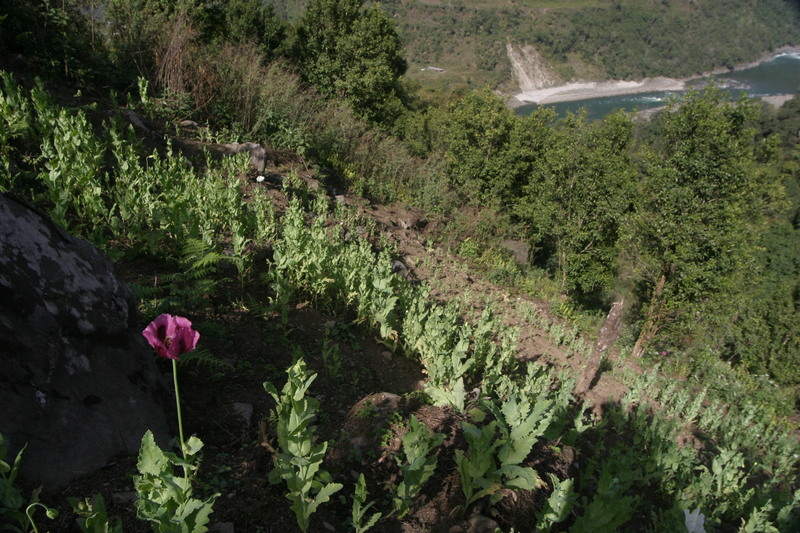 The local government administrators in the late 1980s and early 1990s thought that development and eradication would wean the cultivators away from opium cultivation. It did for a while and the opium available for sale decreased. By the end of the 1990s there were only small cultivators. There were a few large fields but these were collectively cultivated by entire villages. By the end of the 1990s opium cultivation was down to a few hectares in these two districts. However in recent years things have changed and now poppy cultivation is in the thousands of hectares. The young were initially against opium cultivation but their elders would not listen as they required it for their own use. Development did improve the lives of some villages: electricity and computers have reached wherever the roads have gone, where people once had to walk for days to get to the district headquarters, there are now many buses and taxis and privately owned vehicles plying the roads round the clock; where earlier most people were poorly clothed, they are now dressed in jeans and warm jackets and the young now deliver opium on expensive motorbikes; previously everyone in the district lived off the land, many now have different occupations. In the past they were reluctant to leave their homes and families as they would have no news from their families for months but now they have mobile phones and computers which have helped them leave their homes for employment all over the country. However despite these improvements in living standards for some, poverty is still rampant in the region and poppy growth is on the rise once again. As has been mentioned above, now those who have gained from the improvements in infrastructure have turned to farming opium for commercial use rather than in order to survive. This entry was posted in international drug policy, modernizing drug law enforcement, regulation on April 4, 2014 by Emily Crick. As the UN International Narcotics Control Board (INCB) launched its annual report on Tuesday, 4 March, amidst an unprecedented crisis in the international drug control regime, leading drug policy reform experts have called on the INCB and related UN institutions to urgently open up a constructive dialogue on international drug policy reform. Approval of legally regulated cannabis markets in the states of Colorado and Washington and in Uruguay have caused breaches in the UN drug control regime and shakes the foundations of the prohibitionist “Vienna consensus” that has dominated international drug policy for several decades. Yet rather than seek to learn from or understand the growing political support for alternative drug policies, the UN drug apparatus – and particularly the INCB – has responded mainly with shortsighted hostility and narrow-minded rejectionism. It has refused to countenance any reforms, treating the set of conventions like a perfect immutable constitution rather than a negotiated settlement that needs reforming and modernising as science advances or political and social conditions change. This came to a head recently, when Raymond Yans, President of the INCB denounced Uruguay’s “pirate attitude” for its cannabis regulation laws, causing a diplomatic uproar and raising questions about his position. A forthcoming report by the Transnational Institute and the Global Drug Policy Observatory to be released in the advance of high-level UN drug policy meetings in Vienna in mid March 2014, tells the hidden story of how the inclusion of cannabis in the 1961 Single Convention on Narcotic Drugs as a psychoactive drug with “particularly dangerous properties” was the result of dubious political compromises, questionable decision-making procedures and with little scientific backing. Growing numbers of countries such as the Netherlands and Spain, but also states in the U.S. and India have shown discomfort with the UN drug control treaty regime through soft defections, stretching the inbuilt legal flexibility to sometimes questionable limits. The regulated cannabis markets in Uruguay, Washington and Colorado however are clear breaches with the treaty, and mean that a discussion on the need for fundamental reform of the UN drug control system can no longer be avoided. This entry was posted in cannabis, international drug policy, marijuana policy, UNGASS2016, US drug policy, US marijuana policy on March 5, 2014 by Emily Crick. 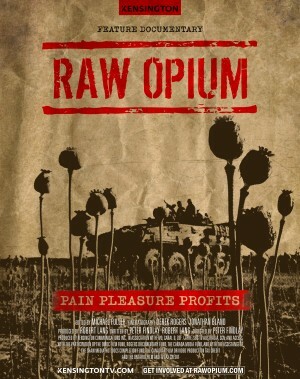 On Wednesday 19th February GDPO hosted a film screening of ‘Raw Opium: Pain, Pleasure, Profits’ followed by a panel discussion ‘The Dilemmas of Drug Policy: Global to local’. The film itself follows the trade in opium/heroin from a poppy growing region of India, over the Tajikistan-Afghanistan border and on to Vancouver’s supervised injection site – Insite – to Portugal’s drug dissuasion committees. There are largely insightful interviews with poppy growers in Arunachal Pradesh, India, a UNDOC enforcement officer on the Tajik-Afghan border, a US Drug Enforcement Administration (DEA) officer, the former Indian Narcotics Commissioner Romesh Bhattacharji (and GDPO Technical Advisor) as well as members of the Insite team, Gabor Mate (a doctor who works in Vancouver with problematic drug users), and Portuguese street workers who offer support and food to drug users on the streets. It also talks to some of those that use the supervised injection site in Vancouver about why they started using drugs and what Insite means to them. The film is a powerful exploration of the local and global impacts of the trade. 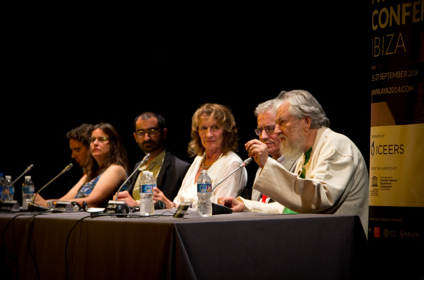 Building upon many of the issues raised within the film, the accompanying panel discussion explored global nature of the illicit market in heroin and other controlled drugs as an area of public policy concern. Kicking off the discussion, Professor Bewley-Taylor emphasised the global nature of the heroin/opium trade. In this regard, he noted that in 2012-13 there had been a 36% rise in opium production in Afghanistan and that poppies are now being grown in provinces that had previously been designated ‘poppy-free. He also pointed out that after full ‘Transition’ at the end of 2014, the security situation is likely to worsen with a consequence being that poppy production will continue to increase. Despite a range of complexities and uncertainties concerning the opium market, any increase in production in Afghanistan may well result in a decrease in price and an increase in purity of heroin on the streets of the UK. This may have a direct impact upon the heroin markets in Swansea. On a local level, it was noted by Ifor Glyn that the city has a growing problem with heroin use. Twenty years ago there was very little heroin use in Swansea and the surrounding area. Today it is one of the main drugs used by clients at SANDS CYMRU. This seems to be part of a broader principality-wide situation, with an estimated 17,000 problematic drug users in Wales. In response, since devolution, the Welsh Assembly Government has become more innovative regarding drug policy and has invested £32 million into the issue area. The Advisory Panel on Substance Misuse – the Welsh version of the UK’s Advisory Council on the Misuse of Drugs (ACMD) – has recognised that there is a need for drug consumption rooms like the Insite facility shown in the film. They have also looked into heroin prescription similar to the model used in Switzerland. On this point, Baroness Meacher noted that the Swiss model provides a wide range of support services from heroin maintenance to counselling and housing support. She also pointed out that it is estimated that for every 1 Swiss Franc (CHF) spent on this programme, the tax payer is saved CHF2. Whilst the Welsh government has not instituted drug consumption rooms or heroin maintenance as yet, they are considering new approaches to drug policy. Public Health Wales has set up a government-funded drug testing service – the Wedinos project – where people can have their ‘legal highs’ (or Novel Psychoactive Substances) tested to find out what substances they contain. It aims to give individual users rapid and accurate information to reduce harms associated with drug use. On national level issues, Baroness Meacher highlighted that UK Deputy Prime Minister and leader of the Liberal Democrats, Nick Clegg, has ‘come out’ in favour of a review of the UK Misuse of Drugs Act but that Labour and the Conservatives are still resistant to change. Panel members concurred that politicians often do not engage with drug policy reform because there is a fear that being supportive of decriminalisation or legalisation can be politically damaging. For example, at the 2002 Home Affairs Select Committee (of which David Cameron was a member) it was agreed that it was necessary to review the MDA. Cameron supported this but when he became Prime Minister, he jettisoned this proposal. In response to a question from the audience asking why drug policy is not simply left to the ‘experts’, Baroness Meacher noted that in the UK policy is driven by the 1971 Misuse of Drugs Act (MDA) and therefore the only people who can change this are politicians. Scientists, such as members of the ACMD, do their best but are often ignored. A recent example of this was UK Home Secretary Theresa May’s announcement that the drug khat would become a banned substance against the ACMD’s advice. You can read more about the ban on the khat trade in GDPO’s Situation Analysis – The UK khat ban: Likely adverse consequences. Re-balancers – e.g. European nations who agree that drug policy should be health-based rather than criminal justice-based. Defenders – usually authoritarian countries e.g. Russia, China, Iran, Pakistan. For these countries the War on Drugs is handy for pacifying citizens. Member states will attend the annual Commission on Narcotic Drugs (CND) meeting in Vienna in March for a ‘High-Level Segment’ in order to finalise the Join Ministerial Statement. But, as yet, there is little agreement on what it should contain. Another area of discussion centred on drug policy reform and the relationship between support at the government level and public opinion. In many countries public opinion on drug policy is way ahead of the politicians. Mike Trace noted that in the US public support in favour of legalisation has shot up in recent years and now hovers around the 60% mark. As a result of this jump in public support, more and more US politicians are coming out in favour of cannabis reform particularly since the voter initiatives in Washington and Colorado in 2012. A Gallup poll produced last October shows how support for legalisation has changed over time. The situation is somewhat different in the UK where there is no option for voter-driven referendums. However, Mike Trace noted that within 24 hours of an online campaign run by Green Party MP Caroline Lucas and Avaaz hitting 100,000 signatures, all three main political parties became more eager to discuss the issue. It seems that even in the UK politicians are becoming aware that the public mood might be shifting. This entry was posted in international drug policy, modernizing drug law enforcement, regulation, UNGASS2016 on February 26, 2014 by Emily Crick.